This was the first time I have read one of Picoult’s books and I’m left disappointed—not necessarily because of the prose, but by the premise. Thanks to Picoult’s research, her stories about baking bread and shaving dead people’s faces were quite enjoyable to read (though the flashbacks were a bit ad nauseam). 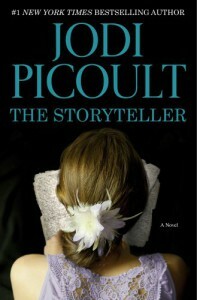 They seemed true-to-life, but everything fell apart when Picoult forced her polar opposite characters together. I didn’t believe it; no amount of prose could make it work. And what the hell is up with a character that only speaks in Haiku? Was she purposefully trying to make an unbelievable character? Speaking of prose, I’m a bit let down by the quality I found on these pages. I expected more from someone who received an undergrad in writing from Princeton, received a masters from Harvard, and has been writing for 20 years. The flat verbs and overused clichés were mind-numbing. Giving her the benefit of the doubt, these tended to make more appearances whenever Picault was shoving an implausible situation together. And, I’m not usually an auditory reader, but when the protagonist’s forbidden, masculine lover ‘tiptoed out of the room’, I’m pretty sure I groaned aloud. Overall, I can see the talent in Picoult’s writing, but the drowning, formulaic story brought down all the words used to try and save it. I should have started with Nineteen Minutes, which was more highly recommended to me. I thought I’d start with her latest and highly reviewed endeavor, but I was gravely mistaken. I’ll start with giving her five stars for the research it took to make me enjoy some of the individual character stories, but I’m knocking a star off for each of the following: clichés, chintzy verbs, and implausibility (that one takes two stars off).